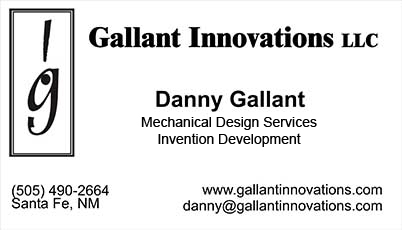 Gallant Innovations, LLC, a New Mexico limited liability company, is an individually owned and operated mechanical design services and invention development company. I started this company in January of 1999 for the primary purpose of developing invention ideas of my own conception. I also provide professional-level mechanical design and drafting services on an off-site (work from home office) consulting basis. I also work at Los Alamos National Laboratory (LANL) where I am an Engineering Technologist 3 and senior-level mechanical designer. 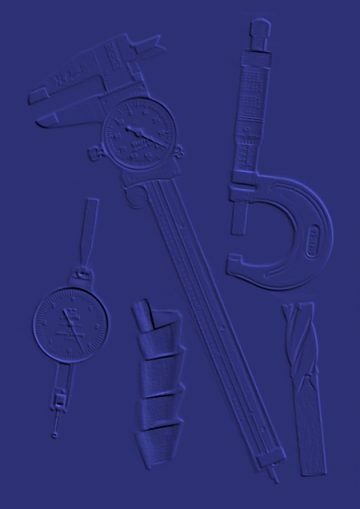 I have over 30 years of experience in a variety of manufacturing and design environments including production fabrication, R&D/prototype, very high precision, and scientific devices. I am a nationally certified journeyman prototype machinist with several years additional experience working as a tool and die maker. I transitioned from a machinist to a mechanical designer 22 years ago and have completed numerous successful designs of complex automated systems, precision machinery, and specialized tools and fixtures. In addition to providing professional high quality service, I bring a high level of creative talent and innovative solutions to complex design challenges. I welcome your inquiries to discuss how I may be of service to your project. Please browse my web site for further information about me and Gallant Innovations, LLC. I have a Dell 7710 Workstation notebook computer that I do all of my design work from. I can bring the power of 3D solid modeling to any location that is convenient for the customer. Designs can be developed, modified, and viewed on location in real-time; greatly increasing customer interaction, creativity, and solutions to complex design challenges. I have 14 years of demonstrated success providing professional quality design and drafting services on an off-site (work from home office) basis. I can provide these services from my office to anyone in the world just by using the phone and internet tools. Very few, if any, in-person meetings are needed. I use GoToMeeting to conduct on-line design meetings. This allows me to show my clients the 3D SolidWorks designs on their screen at the same time we are discussing the design via phone or VoIP; just as if we were in the same room together. I provide fabrication and bill of materials drawings in PDF format via email. I provide the 3D SolidWorks solid models via email or FTP to the machine shops for use in CAM programming. 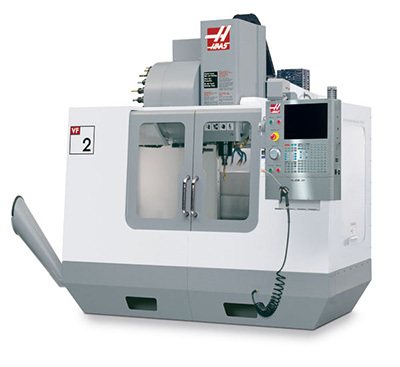 I have recently added a new Haas VF2 CNC Vertical Machining Center to my shop. It has 30" x 16" x 20" travels, 7,500 rpm spindle, and a 20 station tool changer. Danny Gallant Photography is a subdivision of Gallant Innovations, LLC. Remove "NOSPAM" from the end of the address before sending the email.